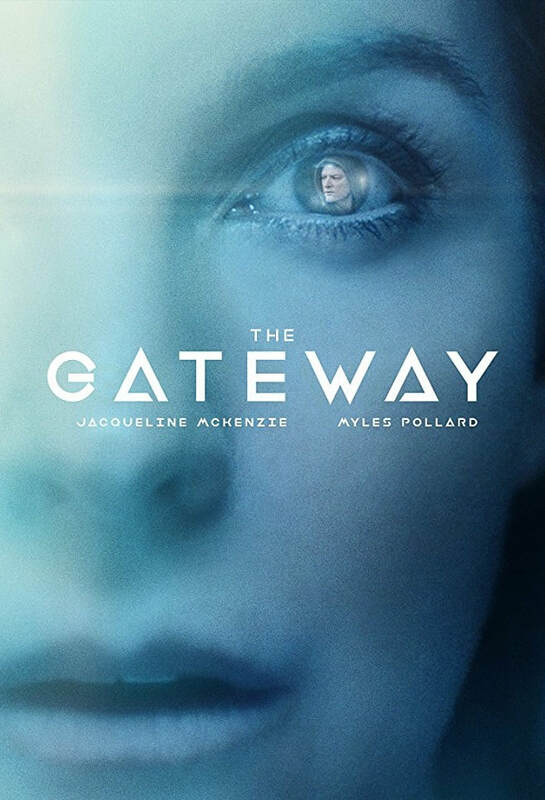 The Gateway (2018) | Movie News & Review | - Pop Movee - It's about MOVIES! ​A particle physicist grieving over the loss of her husband in a car crash uses a revolutionary machine to bring him back, with dire consequences for her family. 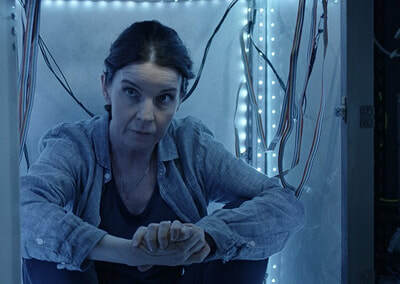 Also referred to as ALPHA GATEWAY in some overseas markets, the film was shot in the Australian city of Perth and features Jacqueline McKenzie as Jane Chandler, a particle physicist whose work becomes all too personal after the death of her husband in a traffic accident. The story is the work of Soto and prolific novelist Michael White, who - sadly - passed away in early February 2018 at just 58 years of age. John Soto borrows a lot of THE GATEWAY from James Cameron’s 1984 THE TERMINATOR, but he makes an effort to twist his plot into a parallel universe story; as opposed to “the future”. Soto also seems to have borrowed from James Ward Byrkit’s 2014 movie COHERENCE. Where Byrkit’s film uses an astrological phenomenon to open the doorway to alternate realities, Soto goes for some “harder” science in the form of an experimental particle acceleration device that bounces its contents from one parallel dimension to another. It’s an interesting premise and one which has developed a legitimate following within the scientific community as many astronomical theoretical researchers have started to propagate the concept of “Multiverse” as something that may be more than just a Marvel comic book confabulation. McKenzie is more-than-credible as Chandler, but she’s letdown by Myles Pollard, who plays alternate versions of her husband Matt. Pollard makes Peter Fonda seem relatively lively by comparison with a performance that is as leaden as it is wooden. The most compelling character in THE GATEWAY is Jane’s scientist colleague Regg, played by Ben Mortley. The film features different versions of Regg and Mortley does an excellent job at providing subtle variation between each. 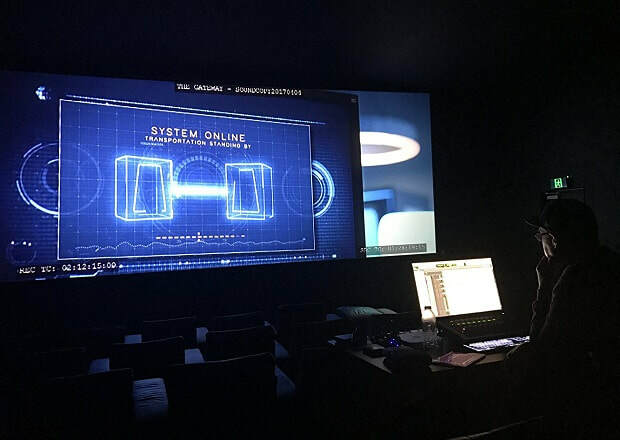 In one version he’s something of an introvert, consumed by the project he’s working on with Jane. In another universe, he’s slightly more confident and has developed feelings for Jane. Given the lacklustre look of the film and the underwhelming performance from Pollard, Soto was lucky the above average performances from both McKenzie and Mortley help to prevent proceedings from degenerating into the worst kind of Sci-Fi schlock. He’s managed to get his Science Fiction story made into a movie and it’s available for anyone (in the world) who’s interested to take the 90 minutes needed to see what he has to offer. That’s more than most of us can say.